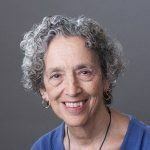 Home AJWS Blog "The Tables Turn": Ruth Messinger's essay from "What I Told My Daughter"
AJWS President Ruth Messinger contributed the essay below to “What I Told My Daughter: Lessons from Leaders on Raising the Next Generation of Empowered Women,” by Nina Tassler with Cynthia Littleton. 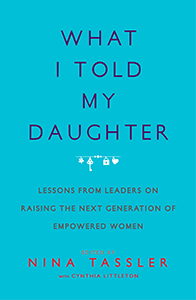 Ruth Messinger joined a powerful, diverse group of women to reflect on the best advice and counsel they have given their daughters either by example, throughout their lives, or in character-building, teachable moments between parent and child. Now that my daughter is grown, I realize how much she has informed my understanding of what it means to be a feminist and a leader. 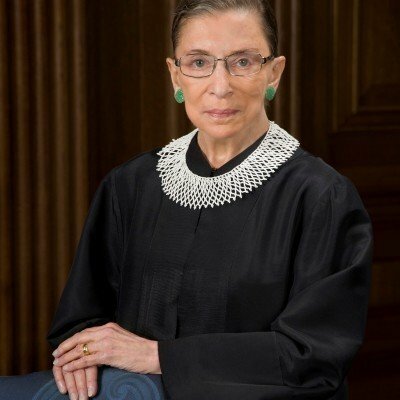 As she has grown up, become a wife, a mother and a professional, she has dealt ably and head-on with not only sexism, but racism and homophobia, and I have learned from her. In truth, Miriam has been my teacher more than I have been hers. It’s no secret that women of every generation, for more than a century, have wrestled with the tensions of having a family and having a career; being a mother and being an independent person. Navigating the messiness of these conflicts—and witnessing my own mother and daughter navigate this messiness, too—has often given me pause, raised questions about when change happens and how, and forced me to think anew on issues I thought resolved. My mother once told me—when I was an adult—that she was not sure that her choice to work when she had young children was “okay” until—decades later—she saw me make the same choice. My children, similarly, saw me making choices—to be on a public stage as an elected official, standing up for people’s rights. They adapted well and often helped. But sometimes, I now understand, they might have wished that I was doing less in the public sphere and more at home. That message encapsulates the perspective I shared with her then: first, hard work pays off; second, sexism is a perennial setback; and third, humor helps. But, sadly, when I addressed these issues with Miriam—and with her brothers—I see now that I was too quick to suggest that the situation would improve dramatically with time and that life would be different when they came of age. Unfortunately, things may be different but the problems persist, which means we need, collectively, to be doing more to make change. When it came time to apply for college, Miriam wanted to go to Harvard where I had gone. I cautioned her about the university’s mediocre reputation on women’s issues and about the paucity of female faculty. But Miriam was unfazed, ready to take on those challenges and the others she would face, but much more ready than I had been to see the ways in which these and other inequities were built into the system. They required more than glib humor to be eradicated. And she is doing much of that work. 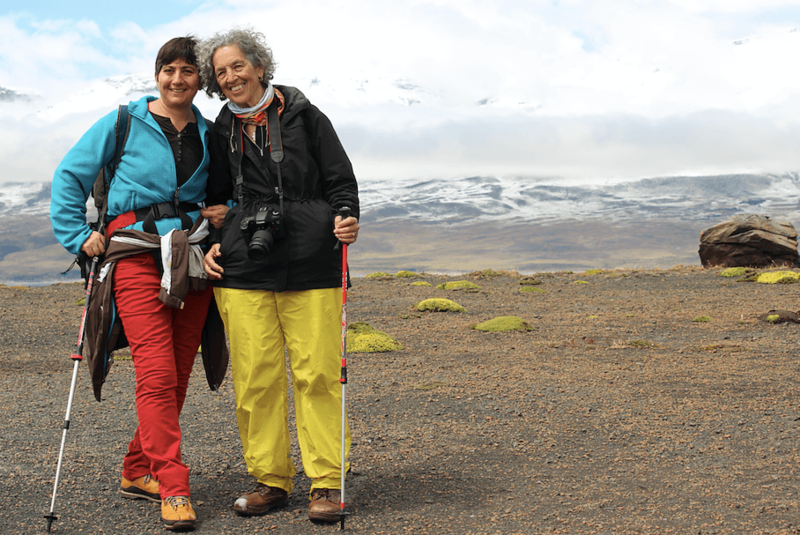 Today, Miriam is a lesbian mother and hard-working professional providing consultative services to not for profit organizations that are seeking to address some of these problems not only out in the world but in their own corridors. In her work and in her life she strives to be a better parent, a better professional, and a determined fighter against the ravages of discrimination based on race, class and sexual orientation. She thoughtfully examines who she is and what she wants to do in the world. She takes risks, urges others to take risks, to re-examine the premises with which they approach the world, and to do more than they are to make change in their lives, in their communities and in broader society. I hope and believe that Miriam and her brothers learned something from my efforts to deal with family, manage a fulfilling work life, navigate relationship challenges and make broader social change. I know I am continuing to learn from her to do more and do it better, to be able to tell a more complete story of who I am, what I care about, and how to lead with dignity. Ruth W. Messinger is the president of American Jewish World Service. Copyright © 2016 by Jerry Levine, Inc. from WHAT I TOLD MY DAUGHTER by Nina Tassler with Cynthia Littleton published by Atria Books, a division of Simon & Schuster, Inc.